It was exciting and an honor to share to the audience about FinTech ecosystem. We discussed opportunities and collaboration with Mainland companies. Thanks you to the organizing committee for having us and running an excellent conference. 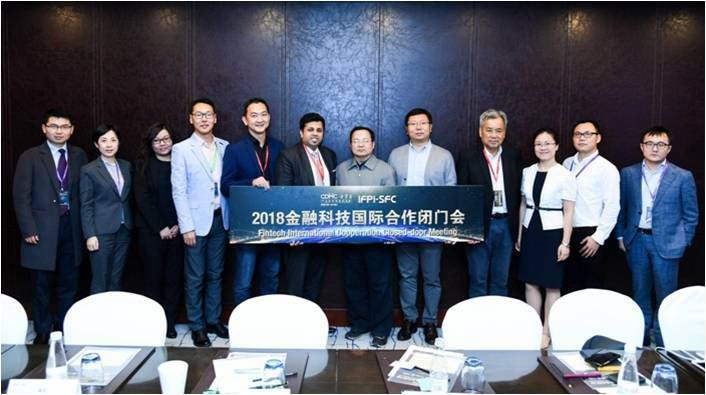 Glad to share developmental opportunities and challenges in FinTech of Singapore, Malaysia and Hong Kong with fellow partners David SK Fong (President of FinTech Association of Malaysia) and Syed Musheer Ahmed (GM of FinTech Association of Hong Kong) at the IFPI- Situational Finance Technology Congress in Beijing recently, and also gained a deeper understanding of the potential and challenges of FinTech in China.Many China finance technology companies are looking to expand in the attractive South East Asia (SEA) region and looking for forward to help them using the platform of ASEAN Fintech Network (AFN). We are gland to cooperate with China Fintech companies.